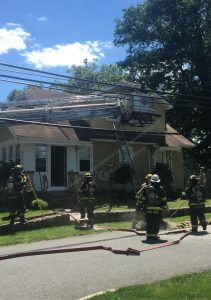 Yesterday at approximately 2 pm, The Wyckoff Fire Dept. 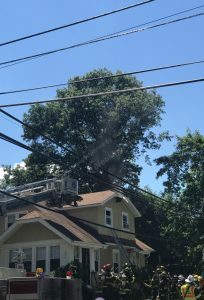 was dispatched out for a report of an odor of electrical burning with visible smoke pushing out of the side of the house. 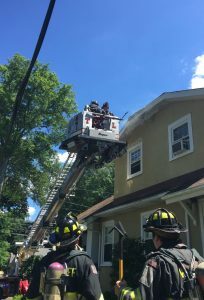 Chief Brock arrived on scene to find a 2.5 story frame with visible smoke showing and immediately called for a second alarm and FAST team to the scene. 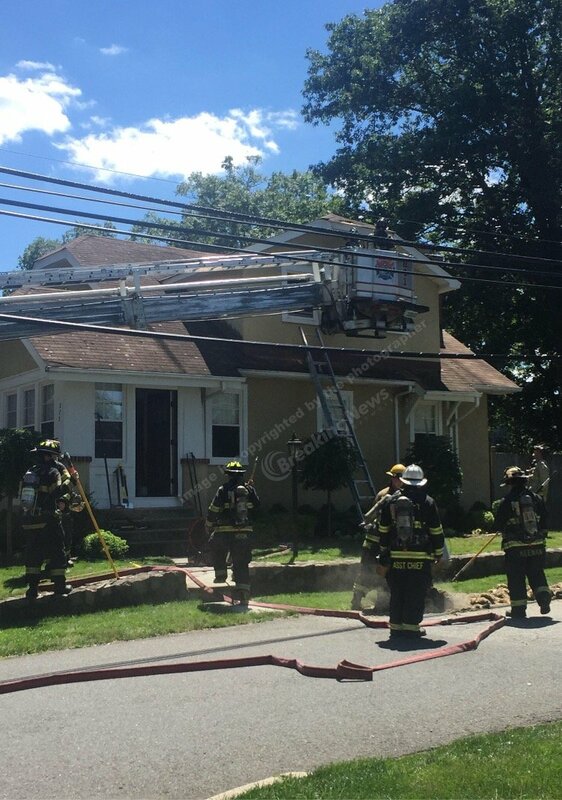 234 arrived and located the source of the fire to an electrical issue in the attic which ignited some insulation. Crews then began extensive salvage and overhaul operations of the upper floors to ensure all hot spots and embers were extinguished. Excellent job by all on scene and a big thank you to all the mutual aid who assisted.